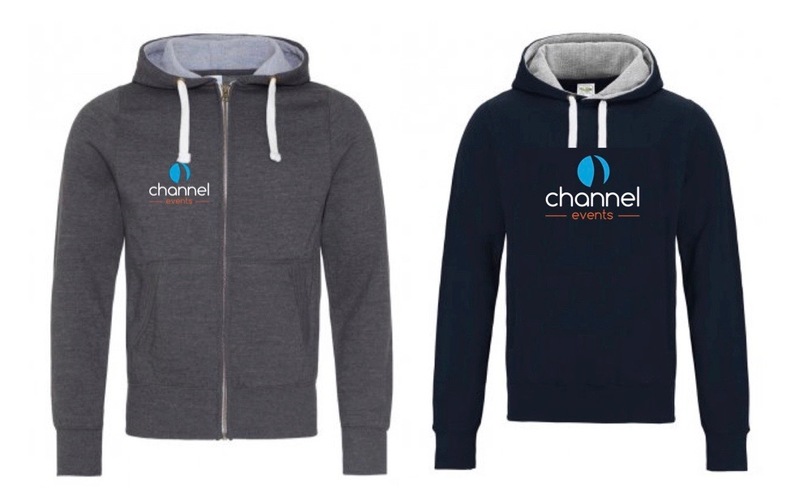 Order your Channel Events Hoody! 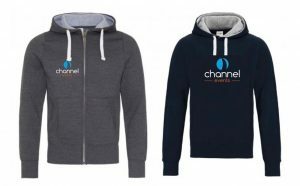 Channel Events ultra premium hoodies comes in two options a Charcoal Grey Zipped Hoody with logo on the left breast, or a Navy Blue Hoody with logo on the front centre. Both of these Hoodies are high quality with chunky white ties, thumb loops, pockets with mobile phone holder inside and nice thick hoods.